It's not being needy if all you want is a home to be loved in. When a dog named Needy was abandoned at the Animal Care and Control Team of Philadelphia (ACCT), he was left with the only thing that brought him comfort - his beloved teddy bear. Needy clung to the teddy bear like his life depended on it ... until that was taken from him, too. Needy was surrendered on November 11, and waited all through November and December for someone to come and save him. 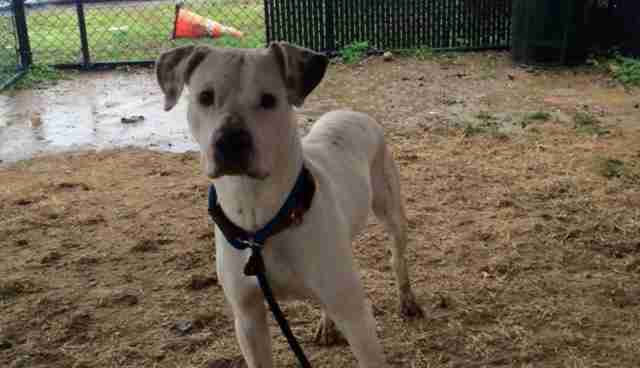 His former owners told the shelter that he was a great dog who knew a bunch of commands, and it's unclear why they decided to give him up in the first place. No one who has met Needy understands it, either. 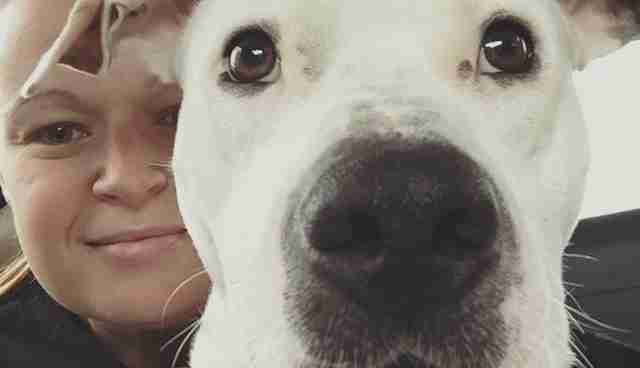 "He is very loved at the shelter by all his volunteer friends and was making everyone he met fall in love with him," Kimberly Cary, a volunteer with rescue group Chester County Dog Tails, told The Dodo. "The volunteers say he is shy but he warms up to you and loves resting his head on your shoulders and is very loving and playful!" 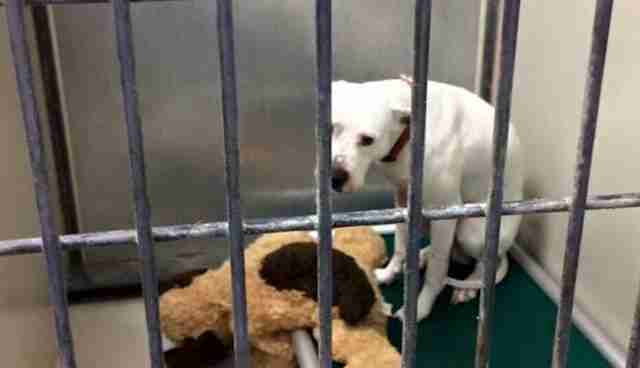 Even though Needy's teddy bear helped him cope with being abandoned, he wasn't allowed to keep it. "The shelter took his teddy bear away from him shortly after he was given up because they said it was not one of the 'approved' types of toys allowed," Cary said. Certain types of toys may be considered choking hazards or undesirable for other reasons by shelters. And so Needy waited, homeless and without his favorite bear, for someone to see how wonderful he is. Needy was rescued on Tuesday by Diamonds in the Ruff Rescue, a huge step towards finally finding his forever home. 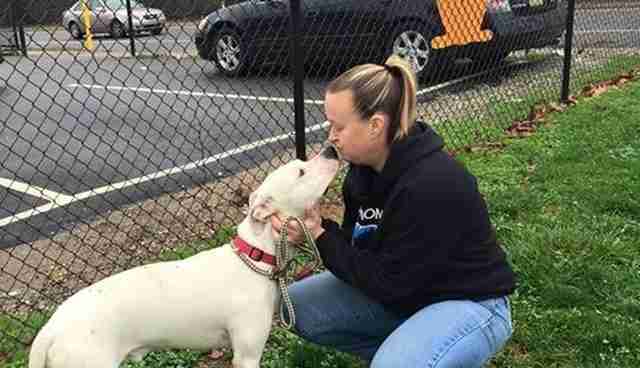 The rescue saved Needy in honor of one of their other rescue dogs, Kermit, who passed away on Christmas Day. They renamed Needy Fozzie Bear, because Fozzie is Kermit's best friend in The Muppets. As if being rescued wasn't great enough, volunteers helped give Fozzie something incredible - brand new teddy bears. After they saved him, the rescue put a call out to the community asking people to donate teddy bears for Fozzie, and everyone pulled through for him. He may not have a home yet, but slowly Fozzie is learning what it truly means to be loved again, and can now wait for his forever family in the company of all the teddy bears he could ever want. If you would be interested in adopting Fozzie Bear, you can contact Diamonds in the Ruff Rescue for more information. If you'd like to adopt a pet of your own, you can go to Adopt-a-Pet.com for more information.